Notepad++ is a text editor that can be used to edit source code. You can get more use of out the software by adding plugins to it. In this tutorial you will learn how to install new plugins on Notepad++. 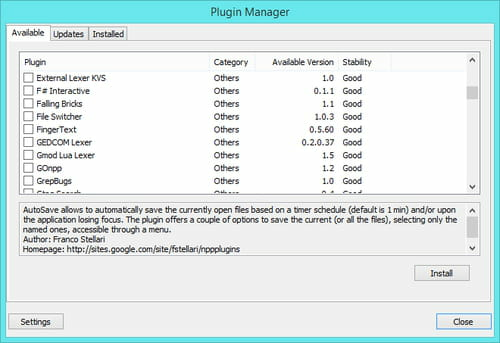 You may also choose to manually install an unofficial plugin. Begin by downloading and unzipping the .zip file. 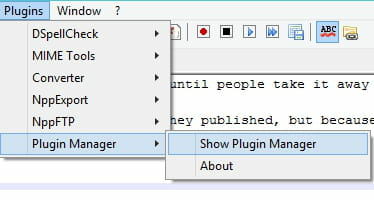 Start Notepad++ and go to the Plugins menu. Search for the plugin and install it. Published by deri58. Latest update on June 28, 2016 at 09:54 AM by Christina Langer. This document, titled "How To Install XML Plugins in Notepad++," is available under the Creative Commons license. Any copy, reuse, or modification of the content should be sufficiently credited to CCM (https://ccm.net/).